First in a series of posts about Tudor City as a literary setting. 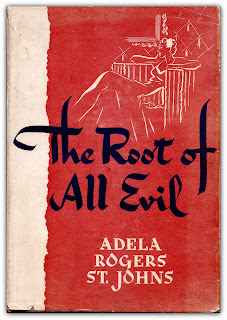 We begin with the Adela Rogers St. Johns novel, The Root of All Evil. St. Johns was a well-known journalist, at the peak of her renown in the '20s and '30s, when she was billed as 'the World's Greatest Girl Reporter.' Over her long career, she covered everything from the Lindbergh baby kidnapping to the Patty Hearst trial. She also found time to write six novels. 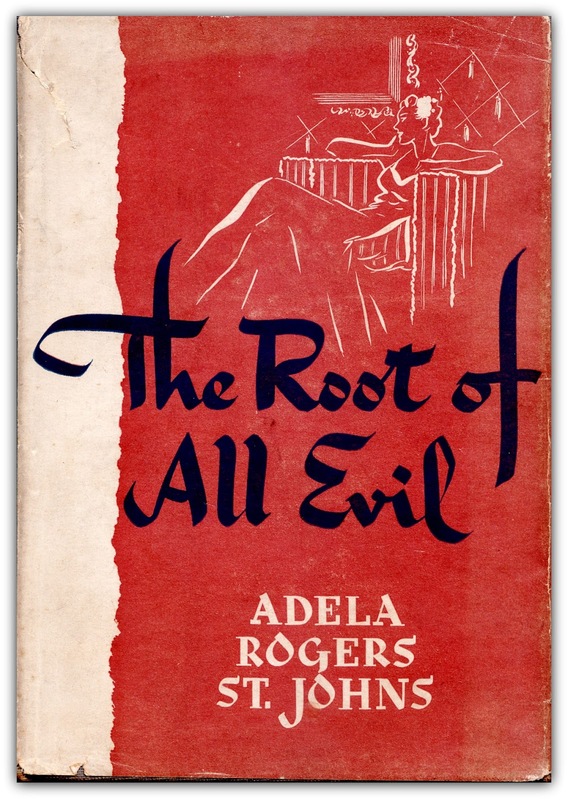 The Root of All Evil, her fifth novel, was published by E.P. Dutton in 1940. 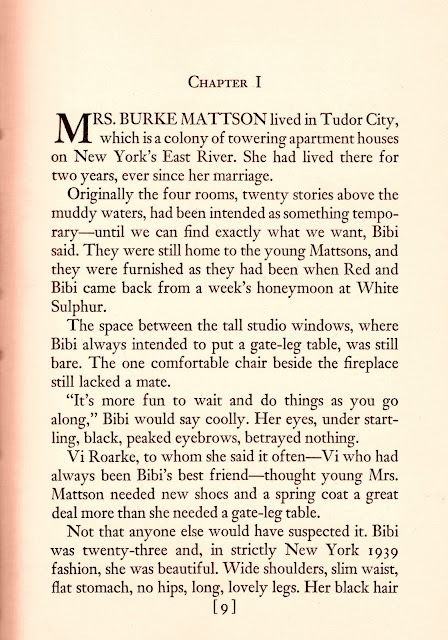 The author wastes no time introducing Tudor City -- first sentence, Chapter One. The book recounts the vicissitudes of one Bibi Mattson, a former "girl about town" who is forced to change her lifestyle after marrying beneath her station. Its vividly named characters include Red Mattson, her husband, Vi Roarke, her best friend, and Shep Michaelis, her former beau, now a millionaire. Click on flap copy at right for a synopsis. Sad to say, St. Johns uses Tudor City as a device to suggest how far down the social ladder Bibi has fallen. ("We haven't been to El Morocco for a year!" she complains to her husband). Tudor City represents "a way station" for the struggling couple, four rooms where "the hum of trucks on First Avenue came through the open window" and a "mist hid the ugly shore on the other side of the river." Yet love ‒ and Tudor City ‒ triumph in the end, sealed with a kiss in the same apartment where the story began.